This new words edition of Mission Praise has been produced by sizing down the existing large print edition. The text is in a single column format, with a type size that will be considered adequate for older people by many congregations. 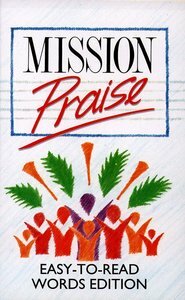 About "Mission Praise Combined Easy Read Words"